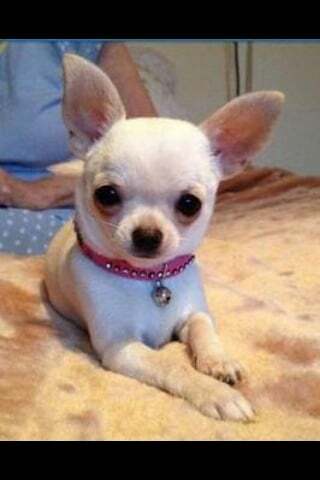 Phoebe is missing from Hillingdon, Middlesex – but she could be anywhere in the UK/Europe by now. She escaped from our yard wearing a gold diamanté collar and pink coat. 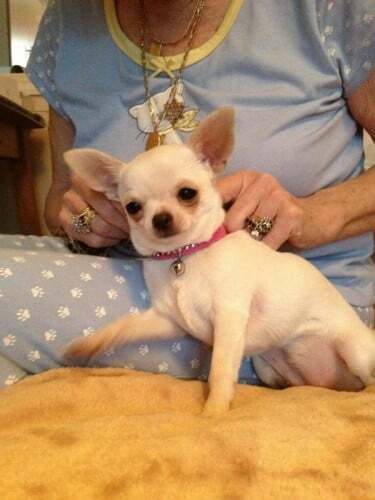 White chihuahua female microchipped. Short haired, young adult female, neutering scar on tummy, fluffy white tail. Her Chi brother, Chico, is pining for her – please help. Any information gratefully received. We are completely devastated – Phoebe belonged to Great-Nan who passed away at 99, leaving her to Nan aged 70, & then she went missing just a month later. Very large substantial reward for her safe return. 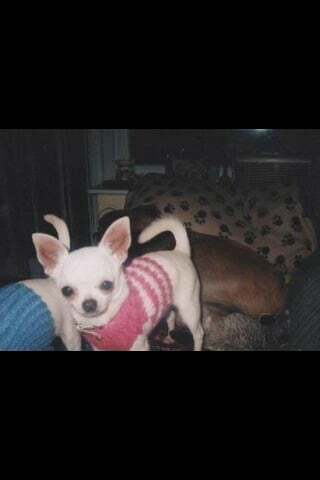 If you know anyone who has bought a White Chihuahua since the end of September, please ask them to check her microchip, as it could be Phoebe. We will reimburse them and help them find a new Chihuahua to love. Hello from Canada: My prayers are with you regarding Phoebe. She looks so small & is so beautiful. I pray she is found & reunited with your family soon. Hi! Would just like to say that I am crossing everything in hope that you get your lovely dog back. I know that’s its like loosing one of the family! Will be preying for her return!! Thanks so much for your comment, we will ensure Phoebe’s family sees it. I remember when dear Phoebe first went missing, everyone wanted so much to have her home by Christmas. I haven’t given up, will keep helping until she s found.